Have a blast with this overstable fairway driver. A lot of fairway drivers fly too straight, a lot of them are too overstable. The Culverin fits right between those two segments. For the advanced and pro players the first part of the flight will be straight and it will finish with a dependable fade. 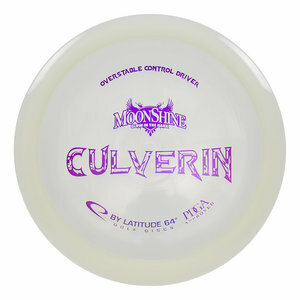 If you are looking for a dependable fairway driver that you can still get some decent distance with, Culverin is the answer. Aim, shoot, hit your mark.